- Héctor Tobar, author of Deep Down Dark: The Untold Stories of 33 Men Buried in a Chilean Mine and the Miracle that Set Them Free. When a bolt of lightning ignited a hilltop in the sleepy town of Yarnell, Arizona, in June of 2013, setting off a blaze that would grow into one of the deadliest fires in American history, the twenty men who made up the Granite Mountain Hotshots sprang into action. An elite crew trained to combat the most challenging wildfires, the Granite Mountain Hotshots were a ragtag family, crisscrossing the American West and wherever else the fires took them. The Hotshots were loyal to one another and dedicated to the tough job they had. There's Eric Marsh, their devoted and demanding superintendent who turned his own personal demons into lessons he used to mold, train and guide his crew; Jesse Steed, their captain, a former Marine, a beast on the fire line and a family man who wasn’t afraid to say “I love you” to the firemen he led; Andrew Ashcraft, a team leader still in his 20s who struggled to balance his love for his beautiful wife and four children and his passion for fighting wildfires. We see this band of brothers at work, at play and at home, until a fire that burned in their own backyards leads to a national tragedy. 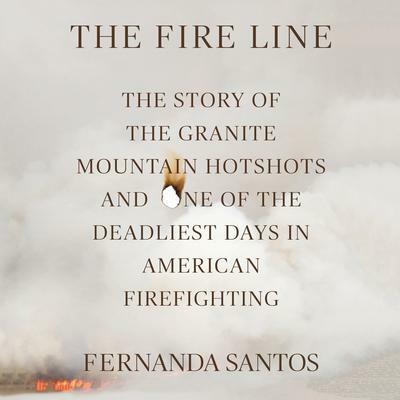 The Fire Line is the winner of the 2017 Spur Award for Best First Nonfiction Book, and Spur Award Finalist for Best Western Contemporary Nonfiction.